Our all-new Emergency Department was configured to improve efficiency, reduce waiting time, and speed treatment. But most importantly, it was also designed with patient comfort in mind. Our ED is unlike others you may have visited. It is warm and inviting, with spacious private rooms for patients and their families. Facilities include additional treatment and counseling rooms, and comfortable waiting space. To provide faster response and care, our Emergency Department staff is able to to perform x-ray imaging and diagnostics tests right in the ED—making our Emergency Department Maine’s most advanced emergency care facility. You’ll find experienced and board-certified physicians, nationally recognized nurses with advanced certifications, speedy connections to electronic medical records, state-of-the-art diagnostics, and prompt access to doctors on staff. Our goal is to get you cared for and back home as soon as possible, but if you need to be admitted for additional medical attention, the area's most modern and caring in-patient facility is just one floor up. 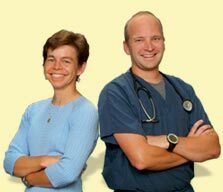 And if you require extra treatment at a larger tertiary hospital, our partnerships with Maine Medical Center and other major hospitals assure that you’ll receive the highest quality care. Mid Coast Hospital is proud of its relationship with area emergency medical service ambulance crews. We provide a paramedic intercept program to augment their personnel as part of mutual assistance in our region. We had just moved to Maine from Massachusetts the week before when my son stepped on a nail. ..Having gone to Emergency Rooms in Mass. we knew (so we thought) that it would be at least a 4 hour ordeal. Imagine our surprise that we walked right into a clean, state-of-the-art facility, greeted by wonderful, caring people, and we were out in less than an hour!